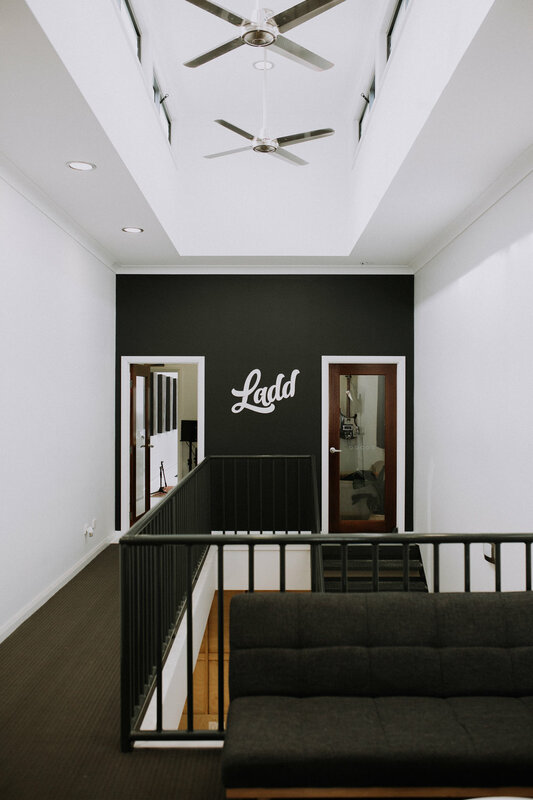 Ladd Studios is a commercially built studio in the Bendigo CBD offering creative services for those in the music industry. 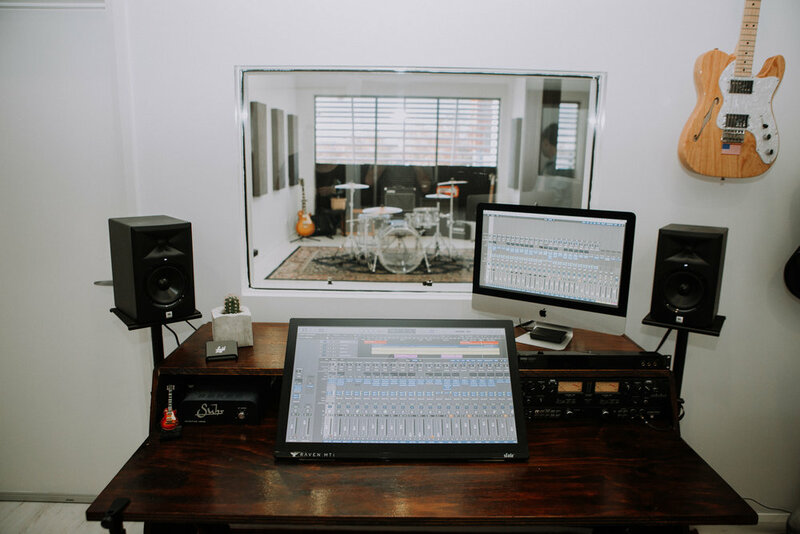 We specialise in all things recording, mixing, mastering, music performance and production, and thrive on the personalised experience of working one-on-one with our clients to help them achieve their ideal sound. At Ladd Studios, we use modern digital technology to capture your sound using the latest version of Pro Tools, state-of-the-art analogue-to-digital converters and galleries of impulse responses. We also have on hand a range of studio instruments and gear which all clients are welcome to use as well as items from their own collections. Ladd Studios is located in the Bendigo CBD at Level 2, 100 Mitchell Street. Situated a block from the train station, we are close by the music stores, cafes, supermarkets and public transport. 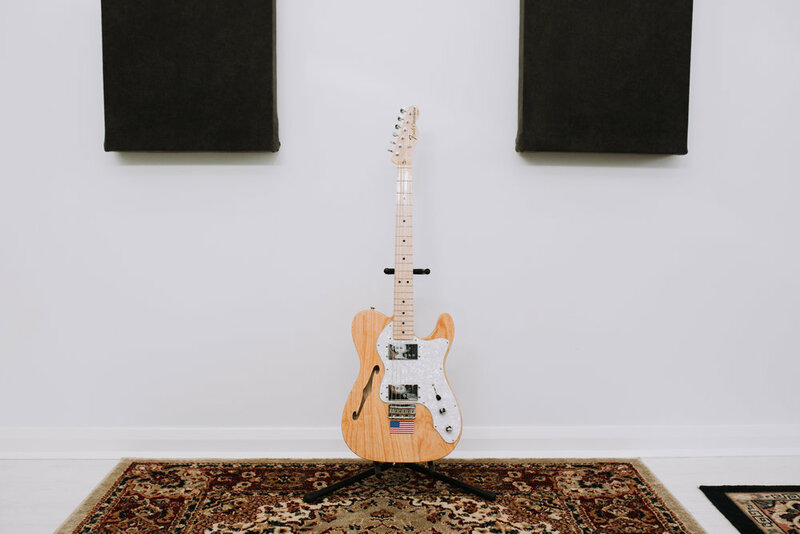 Accessible via a private laneway entrance with off-street parking, Ladd Studios is open outside of usual retail business hours in order to allow for maximum sound. The Control Room is acoustically treated with soundproof insulation panels and a hush laminated glass window. 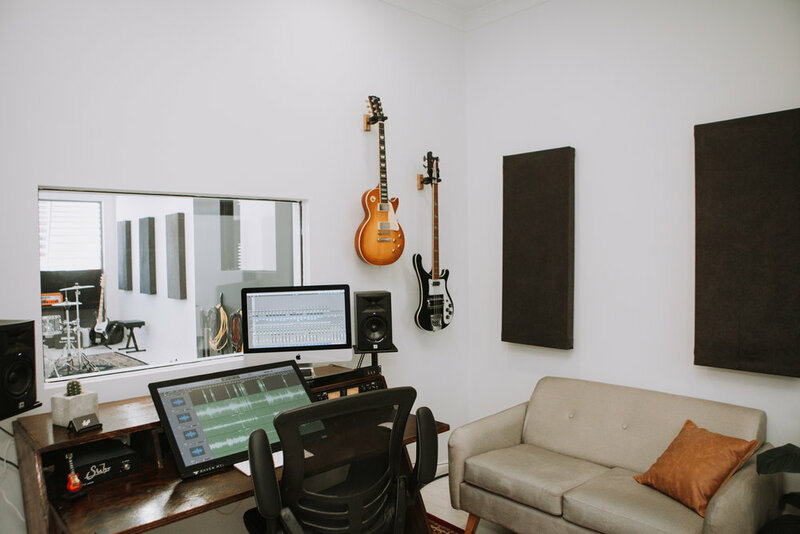 The space allows you to record bass, guitar or piano tracks direct into either Pro Tools or Logic Pro X; our studio features a vast range of software and plugins to enhance your sound. Our state-of-the-art touch screen interface, the Slate Raven MTi2, works in conjunction with our digital audio workstations as a modern alternative to older-style analogue mixing desks. 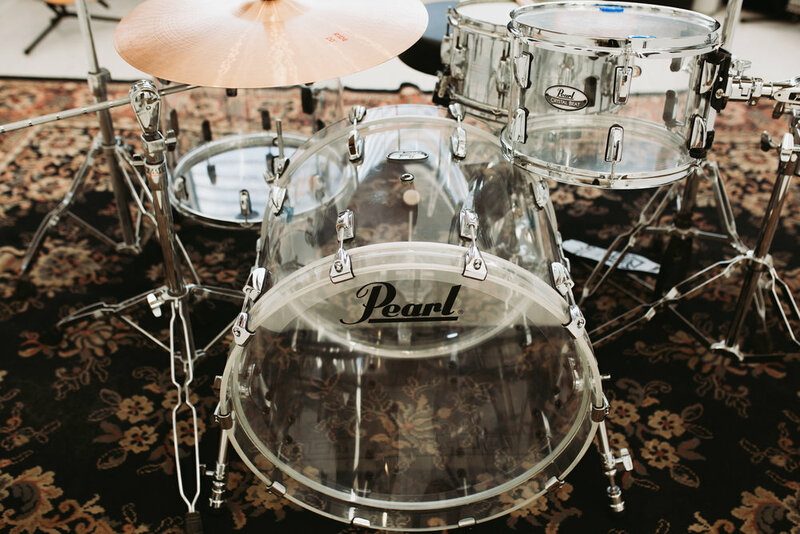 Featuring a high open ceiling and generous sized production area, the Live Room allows for big drum sounds while also providing a natural reverb. Artists are able to independently monitor their performances with our studio headphones as well as utilise the talkback feature for ease of communication with the engineer. 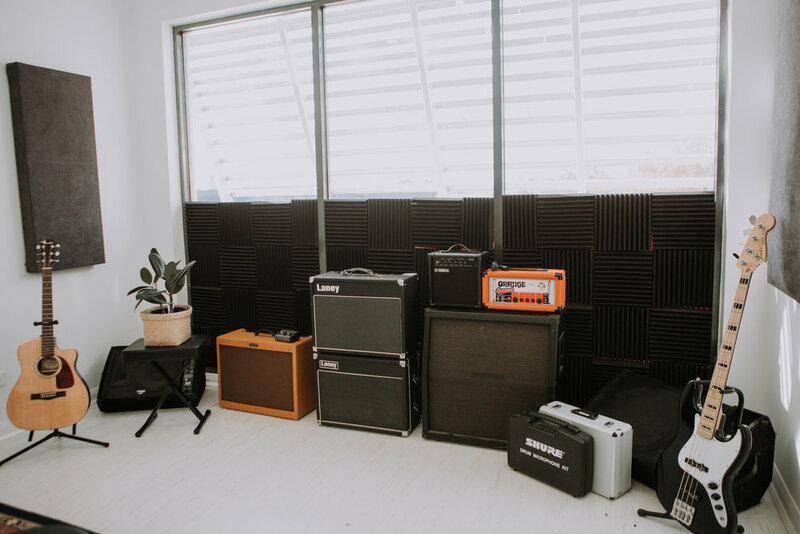 The Live Room is treated with acoustic foam and insulation panels and features a separately constructed vocal booth which has been independently treated with a floating floor. Accessible within the Live Room is a separately constructed and acoustically treated vocal booth room. Designed as a space for vocalists and voice over artists to confidently record tracks in a silent and compact area, the vocal booth is treated with floor-to-ceiling acoustic foam and a floating floor. Featuring hush laminated glass, the vocal booth window allows for minimum noise leakage and maximum visibility with those in the Control and Live Rooms. Our lounge area is the first place you will see upon arrival at Ladd Studios. Featuring a welcoming sitting area with couches, a television and a gaming station, clients are welcome to relax here during breaks or while other members are recording. There are also coffee and tea making facilities available.